Calvary Baptist Church opens clothes closet to the public Calvary Baptist Church now has a clothes closet ministry. It will be open to the public on Tuesday nights from 6:30 to 8:00 pm. If you are or know of anyone in need, please come visit us on Tuesday nights in our Life Center. 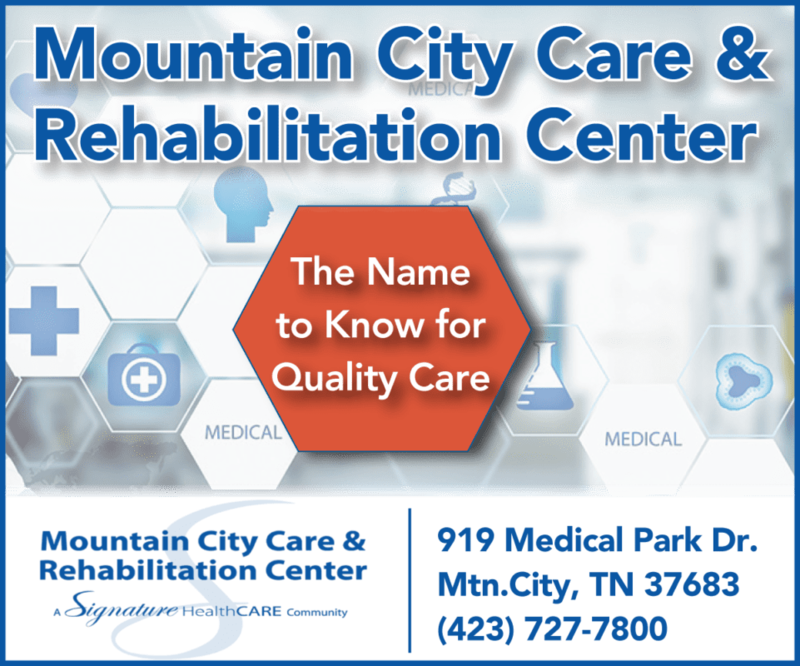 They are located at 1324 Cold Springs Road in Mountain City. God’s Country Church opens new thrift store New thrift store now open at 996 Crossroads Drive in Mountain City at God’s Country Church. A huge selection of merchandise. 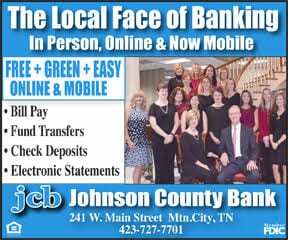 Open Thursday, Friday and Saturday each week from 9:00am to 3:00 pm daily. The Middle Fork gospel singers – July 7 Singing Saturday July 7th at 6pm. Farmer’s Memorial Baptist Church. Farmers Store Rd, Lansing, NC. Featuring The Middle Fork gospel singers. Pastor Rev. Danny Joe Farmer and congregation invites everyone. For more information 336-385-6642 or 336-977-1257. Roan Creek Baptist Church to begin broadcasting Sunday services Roan Creek Baptist Church has begun broadcasting a live video stream of our Sunday services at 11am and 6pm. You are now invited to worship with online if you are unable to attend in person. Visit RoanCreekBaptist.com for information. Roan Creek Baptist Church has medical equipment for those in need East Tennessee Medical Mission at Roan Creek Baptist Church has medical equipment for those in need. This is a free service. If you are in need of medical equipment please call Roan Creek Baptist Church on Monday, Wednesday or Friday between the hours of 8:00 am and 12 noon at 423-727-7061. If there is no answer, you can call Hugh Slemp 423-480-0167, Tom Nelson 423-727-7589, Joe Barry 423-727-7837 or contact Roy Hodge 423-727-9787. We also take used medical equipment. If you want to donate equipment to our church please call any of the numbers listed above. First Freewill Baptist Church to run church vans First Freewill Baptist Church is running their church vans on Wednesdays and Sundays. If you would like to attend any Services, please contact Brian Roark at 423-895-1489 or Mary Roark at 423-297-3813. If no answer, please leave a message with name, address and phone number. Mountain City First United Methodist Church invites all to contemporary worship service Mountain City First United Methodist Church would like to invite you to its contemporary worship service on Sunday at 6:00 pm. Dress is casual and the music is modern. Come and have fun as we worship God. YARD SALE/BAKE SALE at Rainbow Mennonite Church – July 7 Yard/Bake sale at 1155 Rainbow Road, Saturday, July 7, 2018, 7:00 AM until 1:00 PM. Everything will be $1.00 or less and a grocery bag full for $5.00. There will be clothes and various items. Proceeds will be used for a children’s summer outing. VBS – Truth Odessy at First Apostolic Church – July 9-12 Monday- Thursday, July 9-12, 6:00 – 8:00 each night. Who wants to do some time travel? Revival at Victory Baptist Church – July 8 Brother Ben Carper will be in revival at Victory Baptist Church in Shady Valley July 8th through 11th. Sunday service at 11am. Lunch at noon. 2pm service. Monday 9 through 11 at 7pm each night. Everyone is invited. Pastor Eddie Porter.